Towards the latter end of last year I had the pleasure, and I don’t use that term lightly, of using a PowerMat for my iPhone 4. 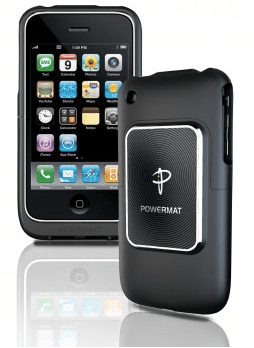 PowerMat is a wireless charging tool that connects to your iPhone via a made-to-fit case that snuggles around it and connects in a simple “drop and charge” motion. Some have commented in other reviews that they have found the case a little bulky, but to be honest I didn’t. 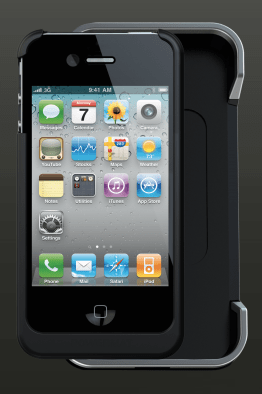 I quite liked the additional security of the case around my iPhone. I will however point out that this case is by no means as good as a proper case for preventing accidents and the chaps over at PowerMat make that quite clear in their outreach. 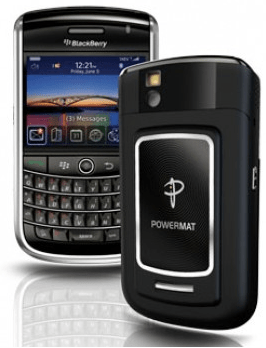 The PowerMat team have also made the device accessible for BlackBerry users (Bold 9700 Series and Curve 8500/9300 Series) and fear not if you have an iPhone 3G or 3GS, you can also find wireless chargers for these too. 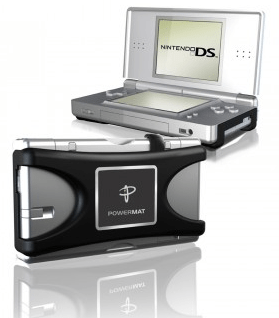 Even your iPod has its own specially adapted wireless charging system and you can also purchase adapters for the Nintendo DS – so you can chat, browse, game it up and boogie on down to your hearts content without fear of running out of juice. We’re hoping that the team plans to add some other devices to its library too, as we’re not all BB or iPhone heads. 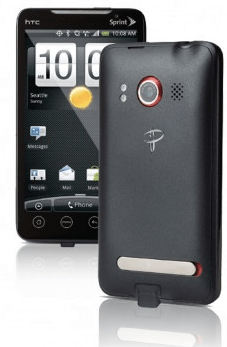 We have had a search on the rumour mill that is the Internet and we can’t find anything pointing to any particular device, although our friends over the pond in the US are already enjoying the delight for its Motorola Droid X and DROID X2,the HTC EVO 4G and the Samsung Galaxy S 4G…mass market/techie devices like HTC, Samsung and Windows Phone 7 must all be high on the companies wish list for the UK. Can I use it for multiple devices at the same time? If you’ve lots of different devices and don’t want to pay out for individual chargers, we would suggest you invest in a “Mat”, this mat connects to receivers on a case/battery door of your device (see images below) and mean you can charge multiple devices from the same Mat. You can also pick up a PowerMat Powercube, which hosts eight different tips that allow you to charge “hundreds” of devices – however, I think this kind of defeats the object of “wireless charging” i.e. if I am using a tip (see image below) why not just use a normal charger hey? Anyway…the mats come in two forms, the portable mat and the home and office mat – with obvious size differences indicated by their names. The science bit – kind of – the wireless charging occurs via magnets, they align between the receiver (the bit on your phone) and the Mat access point. 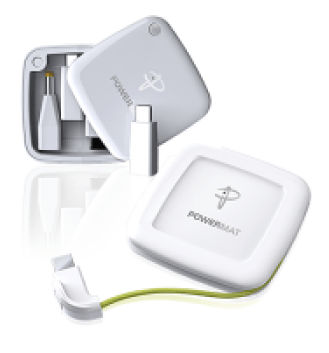 PowerMat calls this the RFiD Handshake – like! Once charging is initiated, a unique audio confirmation occurs and also sounds once you detach the device. When your phone/MP3 reaches its full charge the Mat will automatically turn off to save energy. Powermat Commercial – What the Bleep?